Breaking News: The Royle Family Actress Liz Smith Has Passed Away! She’s one of the most loved U.K. Actresses but today on Boxing Day Liz Smith has passed away. 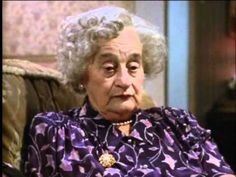 The Royle Family star who was 95 passed away today. This comes in the same year as her former co-star Caroline Ahern passed away from lung cancer back in the summer.